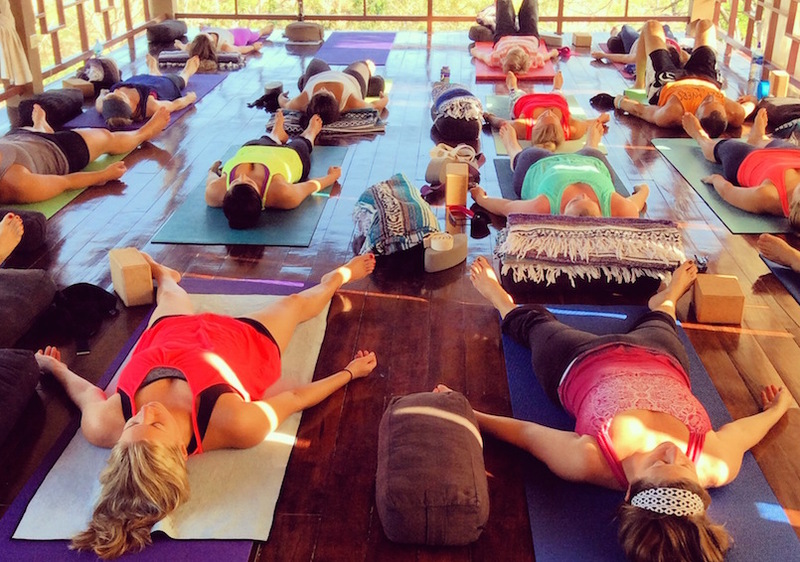 Teaching people, not poses is one of the foundational aspects of Really Real Yoga. With yoga postures, it’s one thing to understand each pose, like knowing how it’s supposed to look, what arm goes where, this pose is good for stretching that muscle, etc. But it’s another thing to be able to take that posture and cater it to all sorts of body types at the same time in a safe and conscious way. It’s so common in yoga classes these days to see the teacher up in front of the class, showing off his or her “look at me” yoga routine, and assuming the rest of the class is keeping up. The teacher hardly ever looks at the students to gauge if they are getting it and if they are getting in to and out of the postures safely. That is why it is so important to not only learn the ins and outs of a posture, but to also learn how to teach it to anybody and everybody that comes to class. Here are a few points to keep in mind when you teach to make sure you are teaching people, not postures, during your class. Your students are choosing to come to you, to learn to heal from you. What an honor! They are taking time out of their busy lives to show up for themselves. It would do them a huge disservice to not respect their time, their bodies, and their practice while they are learning from you. Observe them and teach with them in mind, not your with your paycheck or ego at the forefront. It helps to remember the “why” of why you teach. Tune into the love you have for what you offer and to whom you offer it, and shine it out for them to see. Allow time before and after class to get to know your students. You can also add questions to their registration forms to find out about their ailments and what brought them to class. When you get to know the faces and bodies in your class, you will be able to adjust your teachings accordingly. Getting to know them will also let them get to know you. When they see that you care, it will build trust and keep them coming back to your class, thus creating a loyal student base and vibrant yoga community. Because every body is unique, everyone in the room should look a little bit differently in every pose. It is up to you to teach them how to align themselves safely according to their own bodies. It is also up to you to teach how to tune into their own bodies and not compare their posture to someone else’s. In my classes, I always teach something I call the “centering pose.” This is where I cue them to check in with themselves and feel the connection from their heart to their head. One of the purposes of this pose is get them looking inward instead of outward and trusting in their own body and soul’s wisdom. This helps them align with integrity in their postures. I like to teach seven levels of each posture, three reductions and three enhancements. These modifications are different physical positions of the body and/or the use of props like blocks, straps, and bolsters. I believe that advanced yoga is using the wisdom of modifications. It is not a crutch or a sign of weakness. It is setting your body up to succeed. Share this wisdom with your students. Show them how nurture their bodies instead of strain them. Teaching yoga is about giving, not receiving, and the best classes you will teach are when you give to every student in the room. Remember this as you prepare your class sequences and as you show up for them on a daily and weekly basis.